To END Islamic terrorism and the looming possibility of World War III, the Qur’an must be revised. Its many abominable verses that incite bigotry, hatred, violence, and murder of nonbelievers of Islam must be replaced with God’s Greatest Command – Love one another. This article provides WHY the Quran must be revised. It supplements the article titled, Need for an Islamic Reformation, which presents How such a challenge can be successfully implemented. But such a movement requires an understanding WHY the Qur’an MUST be REVISED. People need to know WHY and HOW Islamic terrorism can be STOPPED. Wealthy business leaders, humanitarians, media news outlets in America, government counterterrorism agencies, and people around the world must spread a powerful communication message that an – Islamic Reformation is needed NOW! American counterterrorism agencies must be proactive. In a Gatestone Institute article on July 17, 2017 by Khaled Abu Toameh, he reported that a controversial Cyber Crime Law, signed by Palestinian Authority (PA) President Mahmoud Abbas on July 11, permits the imprisonment of Palestinians for “liking” or sharing published material on the internet. It verifies that Islamic countries and states are successfully inhibiting any criticism against Islamic ideology and abominable actions by Muslim terrorists. Anywhere on the Internet, especially here in America, we see that Muslim propaganda is rampart in defense and support of Islamic ideology. A review of America’s Internet reveals that America’s counterterrorism agencies, such as the CIA and FBI, are not as proactive in revealing WHY Islam is a danger to our civilization and report Islamic terrorist atrocities throughout the world. If resources are lacking, wealthy business leaders and humanitarians have got to support our counterterrorism agencies in spreading a powerful propaganda message that an Islamic Reformation is needed now!! It can be successfully accomplished by revealing the abominable verses in the Qur’an that incites bigotry, hatred, violence, and the killing of people that have other religious or personal beliefs than Islam. Islamic leaders must be pressured by people worldwide to revise the Qur’an by advocating the greatest command by a man of God – love one another. A question raised by Islamic religious leaders. “How can the Qur’an be revised when 1.6 billion Muslims have been indoctrinated to believe that Islam is the true religion, Allah will make it prevail over all other religions and the Qur’an is perfect whereby revision is forbidden? Let us examine the first concern of this question. It is stated in Sura 9:33 that Islam is the religion of truth and Allah may make it prevail over every other religion. Sura 9:33. He (Allah) it is Who sent His Messenger (Muhammad) with guidance and the Religion of Truth (Islam) that He may make it prevail over every other religion, even though those who associate partners with Allah may dislike it. To have Islam prevail over every other religion, are these the words of Allah or a Party of Men to have Muslims kill people who have their own beliefs? In Sura 7:5-7, the Qur’an verifies the destruction of towns and the killing of people to have Islam prevail over every other religion. Muslims destroy many towns and kill for Allah. An army of Muslims destroyed many towns in the name of Allah. Another verse that emphasizes the killing of disbelievers is presented in Sura 7:97-100. But God would not kill His creations; only a contingent of fanatical men identified as We and Our will kill innocent and defenseless human beings. Muslims are commanded to kill nonbelievers and themselves (suicide) for Islam. The above Qur’an verses are a small sample of many abominable verses that instruct Muslims to kill nonbelievers, and themselves, for the cause of Allah to have Islam prevail over all other religions. In Sura 4:67-69, a party of religious leaders sanctions the killing of human beings in the cause of Allah and even provide a great reward. The Qur’an therefore condones suicide bombings, which are advocated and implemented by a religious party of fanatical men, NOT Allah. Sura 4:67-69. If we had commanded them: Kill yourselves in striving for the cause of Allah or go forth from your homes for the same purpose: they would not have done it except a few of them; yet if they had done what they are exhorted to do, it surely have been the better for them and conducive to greater firmness and strength. We would then bestow upon them a great reward from ourself, and we would surely guide them along the straight path. The above suras prove to any intelligent person that many of the suras were written by despotic men and thereby reveals that the Quran is NOT a Perfect set of laws by Allah. 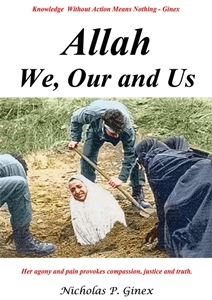 For a comprehensive reading of other abominable verses that incite bigotry, hatred, violence and the murder of innocent people who have their own personal or religious beliefs read Chapter 3.3 of Allah, We, Our and Us. An Internet link is provided above. Is the Qur’an Perfect and Cannot be Revised? The question that must be answered is HOW can the Qur’an be revised when Islamic religious leaders indoctrinate Muslims that Allah perfected religious law (Q5:3). Sura 5:3. Today have I (Allah) perfected your religious law for you, and have bestowed upon you the full measure of My (Allah) blessings, and willed that self-surrender unto Me (Allah) shall be your religion. The statement by Allah that He has perfected the Quran is FALSE. It had to be written by Muhammad or a Party of Men but NOT by Allah. Note that Allah did not provide the Qur’an in one day, a fabricated LIE by Muhammad or the Party of Men. The Qur’an was assembled by despotic religious leaders ten years after the death of Muhammad. To further conclude that many verses in the Qur’an were WRITTEN by a group of powerful despotic religious leaders and/or military commanders, the following sura is provided. Sura 8:16-19. O ye who believe, when you encounter an hostile force of the disbelievers, turn not your backs on them. Whoso turns his back on them on such an occasion, unless maneuvering for battle or turning to join another company, shall draw upon himself the wrath of Allah and hell shall be his abode. An evil resort it is. Thus on the day of Badr it was not you who slew them, but it was Allah who killed them; and it was not thou who didst throw gravel at their faces, but it was Allah Who threw it, that He might confer a great favour upon the believers. Surely, Allah is All-Hearing, All-Knowing. That is so; and Allah will surely undermine the design of the disbelievers. Close inspection of the above sura indicates that it had to have been written by a religious leader or a commander of high rank that tells his army to draw on the wrath of Allah to kill disbelievers or hell shall be their abode. It is foolish to believe the Quran is the perfect Word of God when it is clearly abundant that many verses were written by powerful religious leaders. Clearly, these are not the words of Allah but a commander or a powerful religious leader. The commander’s technique of using Allah as sanctioning atrocities has been a successful form of brainwashing or leadership to convince his fighters that the killings were not through their own volition but by Allah who supports and directs their actions. The mind trick of this sura is to use Allah as responsible for the killing of innocent people. It is another way of convincing people that they are not responsible for their misdeeds but some outside force, which they attribute to God. This sura should convince people that the Qur’an was WRITTEN and compiled by despotic religious leaders and/or military commanders to use it as a manual for the indoctrination of Muslims. It is truly unfortunate that Muslims are made into fools by obeying arrogant and powerful men who want nothing more than to live off the land and riches of other people; they will even extract a tax from them to let them live and have their own people commit suicide to kill infidels. There are other suras that lead to the conclusion that the Quran was written by a party of religious leaders. Islamic religious leaders insured that they have the authority to enforce their Quran by writing Sura 3:105. It gives them the authority to invite goodness, enjoin equity, and forbid evil. The religious party of men gave themselves the power to direct the lives of their followers by acting for Allah in specifying decrees, warnings, chastisements, admonitions and threats of punishment for disbelievers. This power to implement and enforce the Quran lead to the creation of Sharia law; it extends their authority well into the daily affairs of the lives of Muslims. A party of religious leaders abrogate God’s commands. Instead of building upon and fulfilling the Holy Scriptures of the Torah and Gospels, the Qur’an takes issue with the Jews and Christians as unworthy worshippers and even goes as far as to abrogate or cause to be forgotten the previous commandments of God. Education of Muslims and People World-Wide Will Result in Revising the Quran. 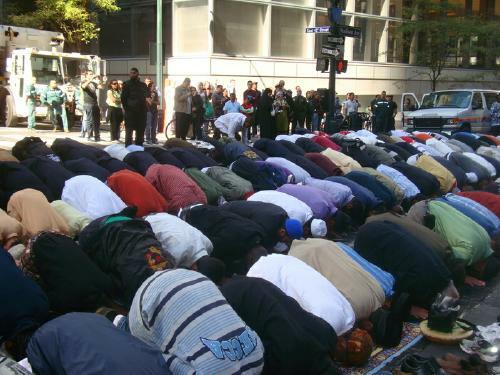 Failure to revise the Qur’an will confirm that Muslim religious leaders are intent to make Islam prevail over all other religions with an objective to dominate the world. Figure 1 shows that beginning with 2600 BCE, the Egyptian Priesthood wrote The Creation of Atum. It introduced the concept of a soul and the God Atum, creator of heaven, the earth, moisture and air. Around a 1,000 years later, the Priesthood wrote A Hymn to Amon-Re; the supreme God who was venerated as, “the Maker of all mankind, Creator and Maker of all that is.” Then around 1370 BCE, Amenhotep IV was the first pharaoh to envision God by personalizing the sun. A visionary and poet, he composed “The Hymn to the Aton.” Finally, in 1270 BCE, the Priesthood of Amon wrote, “Amon as the Sole God.” The Priesthood went full circle by linking Atum with Amon – and created the first One-Universal God. Amen continues to be spoken by many people today to give thanks for a requested or surprised outcome and sung in many houses of worship. This short snapshot of mankind’s development of one God conclusively proves that Scripture is NOT encased in concrete NEVER to be revised. Arrogant religious leaders persist to teach Scripture is inviolate because their want to hold onto power to control their followers. This control limits worshippers from questioning and evaluating other religions and grow with other ideas that would allow them to expand knowledge about themselves, the world, and God. Conclusion: – Revise the Qur’an. Eliminate the many abominable passages in the Qur’an that incite bigotry, hatred, violence, and the murder of people who have other beliefs. Revise the Qur’an to teach God’s greatest command – Love One Another. If Muslims in any country are NOT able to force their religious leaders to revise the Qur’an, then they must be forced to leave. Failure to revise the Qur’an will cause Muslims to pursue the objective to have Islam prevail over all other religions. As many freedom-loving countries find their values and culture corrupted by Islamic beliefs implemented under Sharia law, there can be only one outcome – World War III. Readers of this article are requested to read, Need for an Islamic Reformation to learn HOW such a reformation can be accomplished. It requires ALL people to UNDERSTAND and communicate to others the Islamic PROBLEM so that Islamic religious leaders are SHAMED and FORCED to Revise the Quran. To NOT conform to the will of the people world-wide is to admit that indoctrination of Islamic religious leaders cannot be overcome and an eventual outcome will be WWIII. Need for an Islamic Reformation resides on http://www.nicholasginex.com/. The Baha’i­ Faith rose from Islam. The reformation of Islam is not a new movement and can benefit by endorsing many of the beliefs of the Baha’i Faith that now exists in many parts of the world. The founder of the Baba’i Faith was born in Persia as Mirza Husayn-Ali and surnamed Baha’u’llah (the glory of God). He is considered the only serious reformer of Islam who realized Islam cannot be reformed. Believing that he was vested with authority from God to annul all previous mandates (of Allah) in the Quran he founded a new religion. Dr. Ali Sina provided a brief yet concise summary of over a hundred volumes of Baha’u’llah’s writings in an article posted on http://alisina.org/?p=773. It was posted on December 22, 2010, titled, “The Illusion of Reforming Islam.” Dr. Sina wrote the following to convey the teachings of Baha’u’llah. “He told Muslims, whereas before you were told to slay the unbelievers, now God wants you to love all the people irrespective of their faiths. Whereas before He told you women are deficient in intelligence, beat them if you fear they may disobey you, now He says men and women are equal and give preference to the education of your daughters, because they will be the mothers and the primary educators of future generations. Whereas in the previous dispensation God told you all non-believers will go to hell, now He says it’s your deeds that matter and your faith without good deeds is worthless and that He is not going to discriminate against anyone because of his belief. It’s the purity of heart that matters not what you profess with your tongues. Whereas before He had built a huge rotisserie to burn humans for disbelief, He has actually shut it down. He wants you to obey him for the love of Him alone and not because you fear him. Just act as mature people. There is no threat. Whereas before He said,”fighting is good for you,” now He is tired of all the fighting and says fighting behoove the ferocious beasts and choiced deeds behooves humans. The objective of Baha’u’llahs’ faith is to believe in one universal God. His teachings promote the agreement of science and religion, and the elimination of all prejudice and racism. He accepts the validity of each of the founders and prophets of the major world religions and believed in progressive revelation whereby the views every great Faith will eventually link into a single spiritual system that is progressively revealed by God to humanity. Namely, religious dogma is not cast in concrete never to be changed but to be revised as mankind becomes more knowledgeable about his world and envisions greater enlightenment about God. Muslim religious leaders can choose to resist the Islamic Reformation. Such a choice will preserve a static, unchanging, archaic dogma that restricts the development of the mind and prevent individual freedom of God-given gifts to be the best one can be. The Baha’i faith is an example of a sound alternative that can be used as a springboard to reform the Islamic religion. Only wise, perceptive, compassionate Islamic religious leaders can understand the present cancer of Islam and cure it from infecting human beings around the world. Can they rise to the challenge or will they let their arrogance cause more terrorism, violence and death? Comments to this article are welcomed below or e-mail nickginex@gmail.com.